Not the easiest place to get to but it is worth the visit. Located about twenty minutes out from Nagoya station, it is nestled on the first floor of an apartment building in a residential area. Not the most common place for a gallery in Japan, as most like to be within a stone's throw from a train station. Yet, Kogen is not your average gallery. 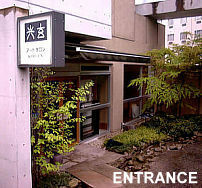 Kogen was opened almost five years ago and has had some exhibitions that people flew in for from across the country. A great look at the genius of Okabe Mineo (1919-1990) a few years back to name one. Any gallery in Japan would love to have the selection of Okabe's work that Kogen has. Okabe was born the first son of Kato Tokuro and changed his name after a falling out. 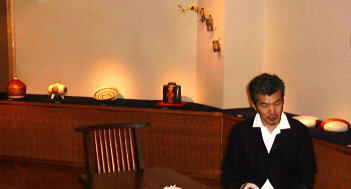 He made Oribe, Shino, and celadon that still has the ceramic world astonished. 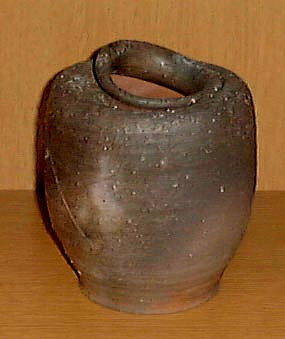 Kamoda Shoji (1933-1983) is another legendary potter that Kogen is strong in. 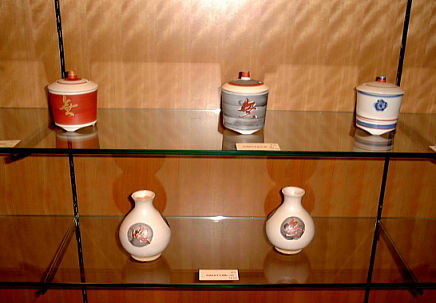 Kamoda's had retrospective exhibitions throughout Japan, most recently at the Mashiko Messe Museum and in 1987 at the National Museum of Modern Art, Tokyo. In October of this year, Kogen will be having their own exhibition on Kamoda and as usual it will be the talk of art circles - I alone cannot wait. Rounding out the names that Kogen carries we find Rosanjin, Yagi Kazuo, Kawakita Handeshi, Kawai, and Kaneshige. They also have a good selection of paintings by Kazuki Yasuo and Kumagae Morikazu. The gallery has a soft ambience and a very refined layout. 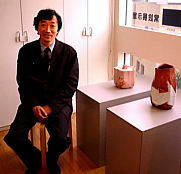 The staff is led by Hiroaki Kobayashi (adjacent photo) who oversees the selection of the work. If you do pay a visit, make sure you ask him to show you the second floor 'treasure' rooms. 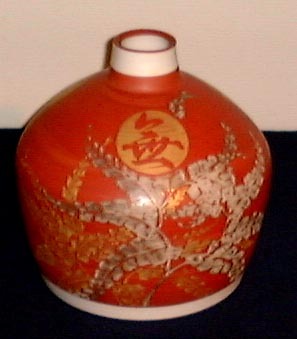 When I was there I saw a twisted yakishime tsubo by Yagi (1st photo below), an Oribe mizusashi by Okabe (2nd photo below), and a delicate Shino guinomi by Rosanjin - ah, just one sip. The first floor main gallery was hosting a rare exhibition by Kuriki Tatsusuke's father, Gisao (1908 - to present, see below photo). I don't think any other gallery in Japan would host such an exhibit - Gisao is not well known and these days many galleries are quite conservative in their exhibition schedules. 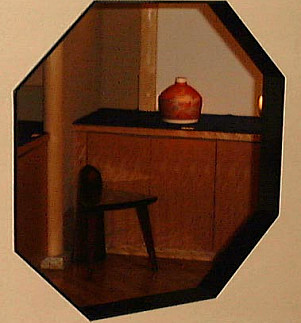 That's another reason that Kogen is an important gallery - they show what others will not. Another example was the retrospective exhibition of Kawamoto Goro that had me re-evaluate Kawamoto's work (1919-1986); I learned much and am now a Kawamoto fan. 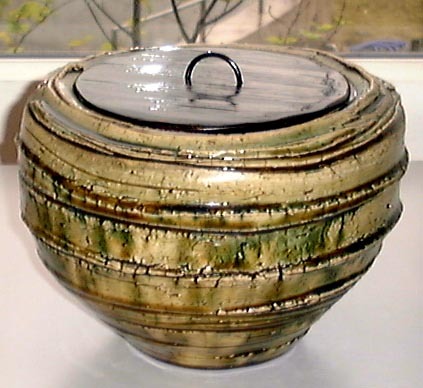 Kogen also supports up and coming potters, and these days their number one guy is Uchida Koichi, who will be showing his work in December 2001.